Meet the Faces Behind PRO Expo. There are many elements that make up an exhibit house. From the first conversations to the moments before show time, a properly run exhibit house has the responsibility to make sure their work for a client runs flawlessly. 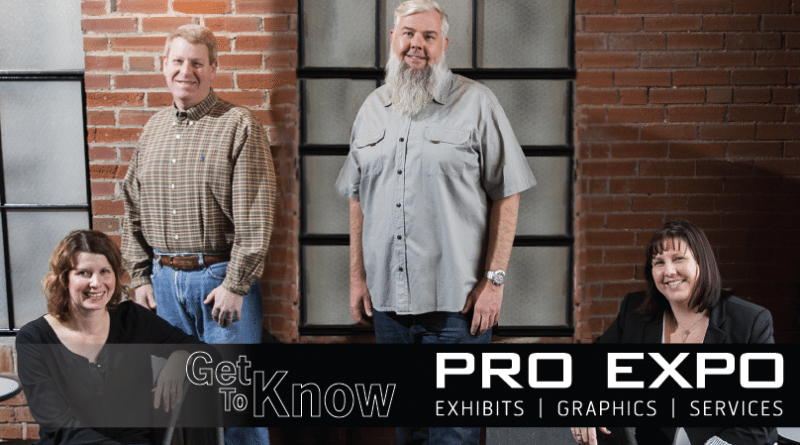 Meet PRO Expo Exhibits. While we have talked plenty about trade show best practices, today we wanted to introduce some of the key people behind the orange logo. With over sixty years of combined experience, the PRO Expo staff is well versed in handling any situation from design to delivery. The unique flow of PRO Expo eliminates traditional ‘departments’ in favor of a team based approach. Everyone works together in tandem on a specific puzzle piece to maintain maximum efficiency. The result has been hundreds of successful events and happy clients! 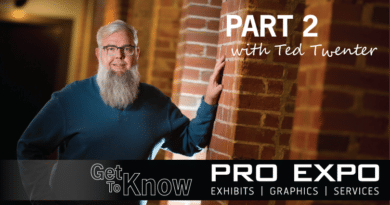 As founder and chief of PRO Expo Exhibits, Ted leads a fearless team through the fast paced world of trade shows and events. 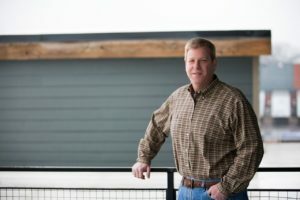 From the office, warehouse, or on location Ted seamlessly assists his team across the entire spectrum of responsibilities and customer service. Ted is also in charge of business development and innovation within PRO Expo. As a rule of thumb, he makes sure to communicate and introduce himself to every client PRO Expo works with from beginning to end. As the T.E.A.M. 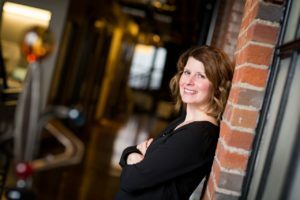 Program Manager Jennifer spends a great amount of time reviewing our client’s real needs to determine how we can create a customized asset management program, or assess and improve upon an existing program. Jennifer’s other hat includes the role of Service Coordinator. Here she coordinates everything from the installation of rigging, electric, install/dismantle and much more, depending on the project. This role is vital to ensuring all the final details of a show go off without a hitch logistically. 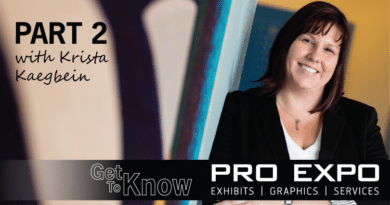 Serving as the creative mind behind PRO Expo’s visuals, Krista engages with our clients to design all exhibits through the use structural cad designs and renderings. 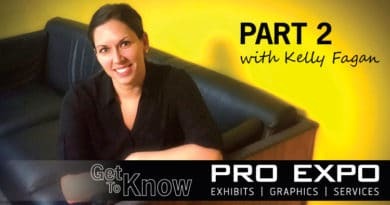 In addition, Krista oversees all graphics produced through PRO Expo; everything from graphic design to pre-flighting. She also acts as a liaison between client’s ad agencies, when needed, providing direction and specifications. 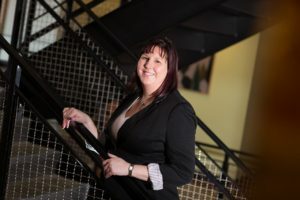 Krista approaches every aspect of her work with grace and simplicity to ensure a stunning result. 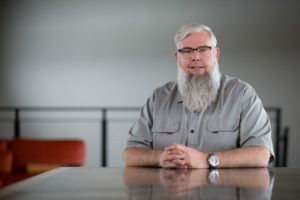 Bringing over two decades of experience to the team alone, Chris is responsible for our day-to-day operations within our 20,000 foot warehouse. From various warehouse operations to individual client packing, receiving, and shipping, Chris maintains all of our client’s assets with the highest respect possible. The entire team depends on Chris’s logistic skills to ensure flawless execution. These are the friendly faces at PRO Expo. While everyone has a unique role within the company, it’s how we work in tandem to create the best possible experiences for our clients. Our philosophy lies in how we view our client’s trade show program – as a whole versus on a show-to-show basis. This allows us to understand and address the immediate and long-term needs of our clients – resulting in a more streamlined process, keeping budgets in line and relieving last-minute stressors. PRO Expo is proud to offer a unique experience that solidifies us as the leader in event management. We thank you for reading our insights thus far, and invite you to approach us anytime for your event program needs.